Bio:David Rothman graduated from the University of Florida School of Law in 1977 and worked as an assistant state attorney for the next three years. In 1980, David and John Thornton, Jr., now a circuit court judge, opened the law firm which now bears the name Rothman & Associates, P.A. The firm practices criminal defense and Florida Bar defense. David is Board Certified by The Florida Bar and the National Board of Trial Advocacy in criminal trial. 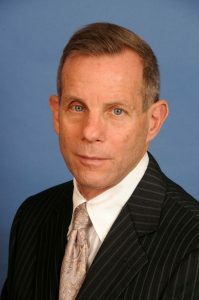 David has been President of the Florida Association of Criminal Defense Lawyers and of the Dade County Bar Association. He presently is a member of the board of The Florida Bar Foundation and is the Chair of the board of the Innocence Project of Florida. From 1999-2011, David served as a member of The Florida Bar Board of Governors. In each of his last six years on the Board, David was selected to serve on the Executive Committee of The Board of Governors. David is AV Rated by Martindale Hubbard, listed by Super Lawyers, Best Lawyers, and Florida Trend as a member of the Florida Legal Elite. For nearly two decades, David has taught litigation skills as an adjunct professor of law at the University of Miami School of Law. He has taught more than 300 law students how to be ethical, professional and successful trial attorneys. Most importantly, David has been married to the former Jeanne Hickey since 1974, and has four children, Jessica and Greg, Jessica’s husband, Scott and Greg’s fiancée, Lindsay Shapiro.